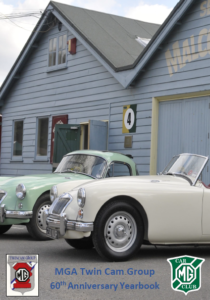 WELCOME to the MGA Twin Cam Group, established in 1966 by Phil Richer and Mike Ellman-Brown and now chaired by Colin Manley with help from a team of Twin Cam enthusiasts. The earliest known group article published in Safety Fast dates from May 1969. As Mike points out in this article, the group was setup to help owners maintain their cars and offer moral support, something which we hope holds true today. One of the first questions people often ask, is how many twin cams currently survive from the 2111 production and two prototypes made between the launch day at Chobham (as shown in the photo below) in 1958 and June 1960. A vague answer usually ensues, as many owners have not made contact in decades, so we encourage those that fit into this category to make contact with the group. What we can confirm is that Phil Richer began publishing owners lists in 1976 and since then, all but just over 1000 twin cams have made their way onto the various registers and groups. 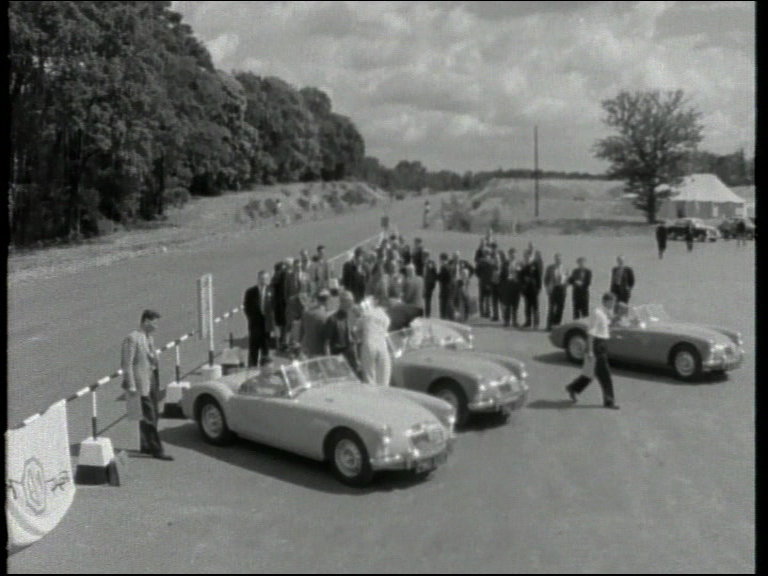 The first image below shows the Chobham Test Track on 14th July 1958. 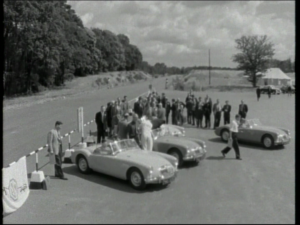 This was the Press Launch of the Twin Cam to the motoring press of the day. The image below shows the same Track on 14th July 2018, 60 years to the day, where we held our 60th Anniversary event. 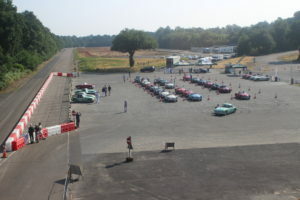 A record 53 Twin Cams and Deluxe cars were present, in what is, we believe, a world record gathering. Not much had changed at the track in 60 years, as evidenced by comparing the two images. To mark the 60th Anniversary, we produced an Anniversary Yearbook which sold out and was posted to recipients all over the world.